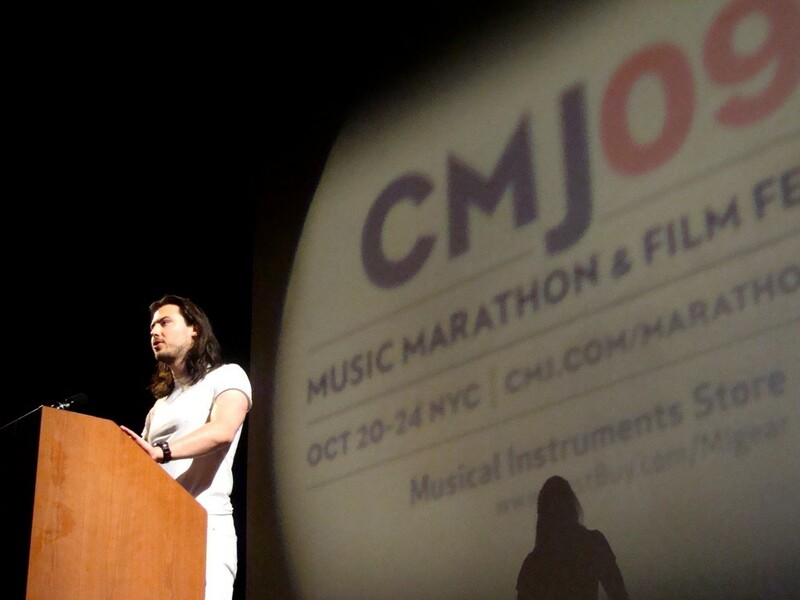 Be sure to check back with Randomville ALL WEEK LONG as we will be giving daily reviews of the CMJ Music Marathon in NYC! Have you checked out our Tuesday coverage yet? 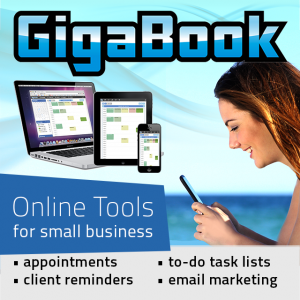 Click here to do so! 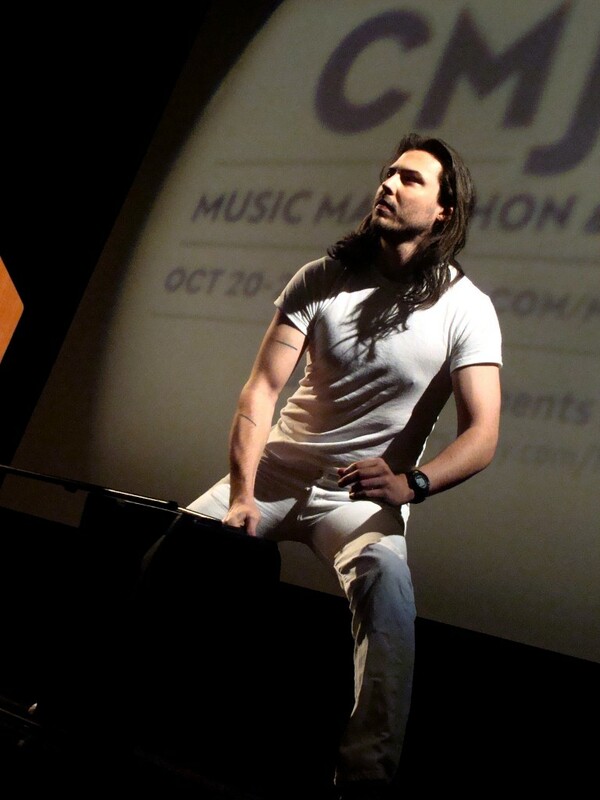 For Wednesday I decided to deviate away from photographing gigs to attend a special guest lecture by rock star, TV host, club owner, comedian, and simply in his terms: an entertainer known as Andrew W.K. Now I was vaguely familiar with his work (who doesnâ€™t know his hit single “Party Hard” or his latest works with Cartoon Network?) but what I didnâ€™t anticipate was the excitement surrounding his lecture. 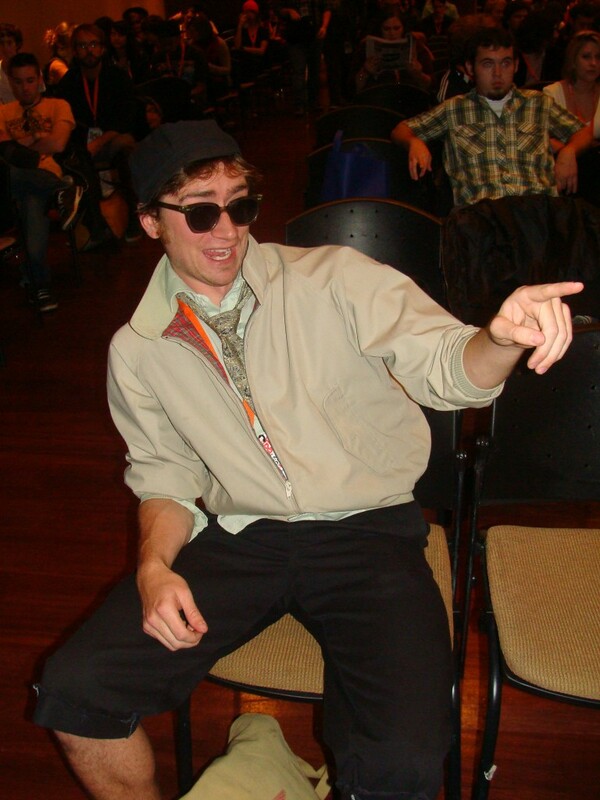 Throughout the panel Andrew allowed a very open atmosphere to take place, which you rarely see in such events. He allowed the whole audience to ask questions throughout the entire hour to stimulate the conversation and where it would go. Of course he added his humorous commentary to his advice/insight thatâ€¦well I believe these actual quotes will speak louder than descriptions ever could. â€œPeople are always under the delusion that I know really funny jokes. But watch this! What do you get with two packets of ketchup? Two packs!â€ (He also commented that he thinks of this joke whenever he sees a bird flying). What was quite possibly the most interesting advice he had for the crowd was when a crowd member asked how he dealt with lifeâ€™s struggles and Andrew than proceeded to say that everyone should view life as a movie script and you are both the main star and the writer. Every movie has twists and turns which you yourself have written but at the end of it all you get to write yourself how you want to come out from each twist. 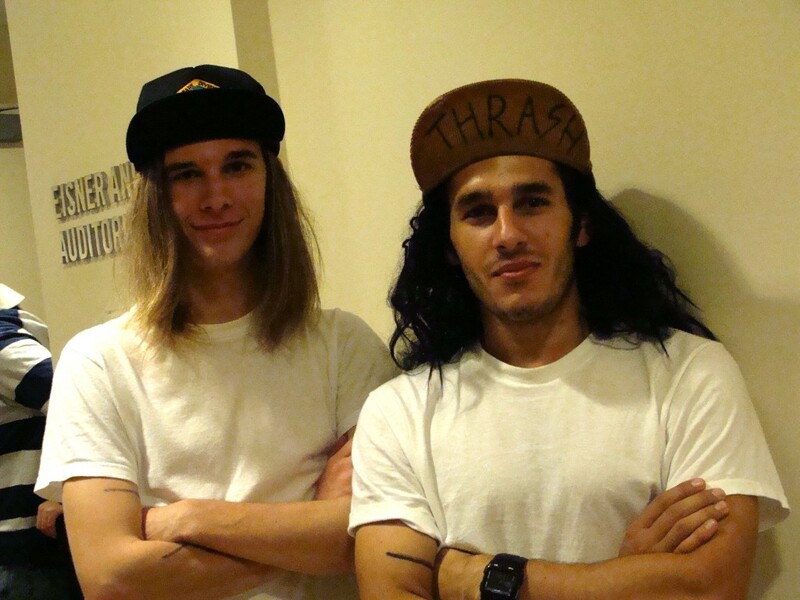 And what better way to end such a special lecture than with of course…Partying Hard? Now the second piece of business on my agenda featured a mess of things that I am very fond of when it comes to film. 1. Ewan McGregor or AKA my favorite actor (even before Clive Owen and Heath Ledger) and 2. a trailer that didn’t tell you the entire movie! 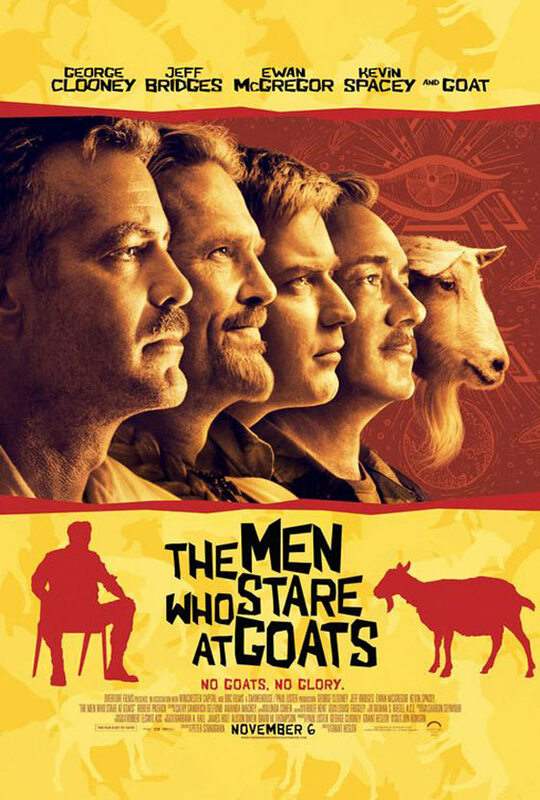 I am referring to the upcoming film The Men Who Stare At Goats directed by Grant Heslov. The film is about journalist Bob Wilton (played by McGregor) striving for an adventure to add to his resume. His entire life consists of the norm and not getting respect from his peers since heâ€™s never done a story thatâ€™s â€œworth while.â€ So his solution is to go to Iraq and try to cover the gritty/hidden side of war. 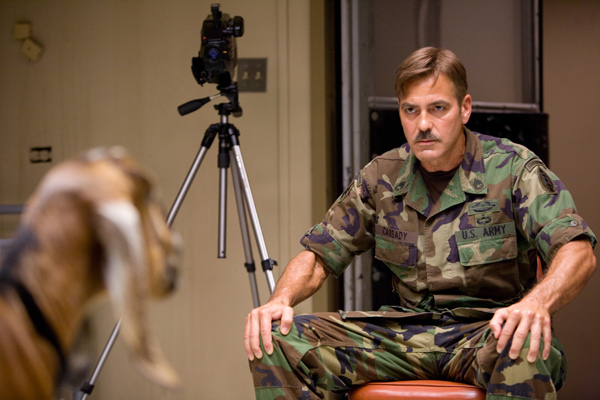 What he finds instead is re-activated black ops soldier Lyn Cassady (played by George Clooney), who is at first reluctant to deal with Wilton but than decides to take him onâ€¦well lack for a better incentive: an insane adventure. What we as viewers end up learning is that Cassady used to be part of The New Age Army. Basically what happens is that the US government gives veteran Bill Django (played by Jeff Bridges) R&R time after an injury to find new methods of using the typical human unsought desire to kill to be used against our enemies. What ends up happening is that Django returns with a whole new â€œhippieâ€ outlook on life and attempts to integrate that with the militaryâ€™s current state. What makes this happen is that not only is Django,s outlook on life peacefulâ€¦but it also involves forming the first team of super powered soldiers called Jedi Warriors (not kidding). Now from the get go Cassady is preaching the ways of the Jedi to Wilton, and from Wiltons point of view we of course get the skeptic. Throughout the film it is immensely arguable whether or not these powers are actually â€œrealâ€ but it goes without saying that through everyone else’s point of view they certainly are. What makes the film strong and worth checking out is that the chemistry between Clooney and McGregor is incredible. We have McGregor playing the character in desperate need of a change and Clooney playing the mentor thatâ€¦well no one wants to really listen to. Other cast members also make this a film worth your time. Jeff Bridges makes us forget he played a villain in Iron Man 2 by playing the easily likable â€œhippieâ€ army commander. Also Kevin Spacey once again shines by playing a total jerk, which of course makes his character irresistible whenever heâ€™s on screen. The main problem the movie has though is despite the amazing cast, acting, and script it’s almost impossible to take in everything tossed at you. The fact that thereâ€™s super powered beings or even soldiers with powers created by our government isnâ€™t hard to take in at all, but the sheer idea that the US Army would allow new age lifestyles become integrated with a militant way of life feels more than far-fetched. Also, the film has a plot but lacks conflict. By the film’s end it is downright impossible to understand where the film has gone and better yet where its taking you, the viewer. Our characters donâ€™t really have a true destination or even resolution by the end of the film. To me this feels a lot like Burn After Reading, which was enjoyable from a comedic stand point but didnâ€™t really attempt to offer me anything. If I had to rate this movie Iâ€™d take a line from www.spill.com and give this a low matinee. The jokes and nuances will keep you laughing nonstop; just donâ€™t expect to get a lot from this on terms of plot and conclusion.